Perhaps the first film awards of the year, celebrating independent, "smaller" films, the GOTHAM IFP FILM AWARDS are a good place to check out the independent film movement, and some great films that may not have gotten enough ad space or theater time to have been easily discovered. Looking through the list of distributors shows very few companies represented. Sony Pictures Classics, Fox Searchlight Pictures, IFC Films, and A24 seem to lead the list, and they have, mostly, the biggest small pictures with the best known actors. More distributors would be a good thing! I was disappointed not to see Scott Haze on the list of nominees. His performance in James Franco's CHILD OF GOD is one of the all-time great film performances. It wasn't widely seen, perhaps since it did not have one of the more prominent distributors (and it was a brutally uncompromising performance in a brutally uncompromising film). 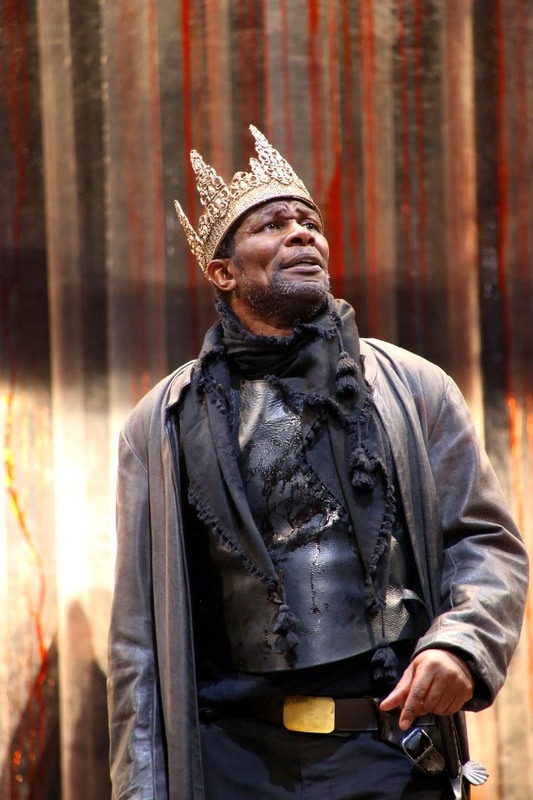 John Douglas Thompson's performance in Marlowe's exciting Tamburlaine is a magnificent tour de force. Christopher Marlowe was born in 1564 a few months before Shakespeare. His first play, Tamburlaine the Great was first performed in 1587. It was based on the career of Timur the Lame, written in blank verse, and was a major success. (Shakespeare's first play was likely Henry VI from about 1590.) Tamburlaine the Great Part II was a sequel. Timur was a vicious warrior. According to references cited by Wikipedia, he may have been responsible for the deaths of as many as 17 million people -- about 5% of the world's population in his time, the mid 1300s. Marlowe's Tamburlaine is charismatic, cruel, and a brilliant warrior. His tactics are to gain allies with his charisma, terrorize his foes with his cruelty, and win battles with his military acumen. A peasant and a thief, he is constantly being underestimated by the leaders of the great powers of his day. His victories in Persia, Iraq, Syria, and Egypt give this story an unmistakable modern currency. As a play, Tamburlaine Part I is also a love story, as Tamburlaine woos his captive princess, Zenocrate of Egypt. As a playwright, Marlowe writes elegant blank verse. But, unlike Shakespeare, there are few if any truly memorable lines. Also, the play is almost all plot; there is very little subtlety of characterization; only Tamburlaine, and hardly anyone else, gets any dimensionality. The plotting is relatively simplistic. Tamburlaine and his adversary of the moment face off with bravado and insults, each predicting victory, after which the adversary either yields to Tamburlaine and switches sides, or Tamberlaine's armies prevail, and the enemy is killed, or enslaved and humiliated. The action is rather brutal; however, in this production, the director stages murders stylistically, by simply splashing a bucket of red, bloody liquid over the actor. Tamburlaine Part II, as mentioned before, is conspicuously a sequel, and seems to tread on much of the same ideas as Part I. The brutality escalates, including the drowning of all the men, women, and children from a city that resists. One new idea in Tamburlaine Part II is Tamburlaine's attempts to turn over his legacy to his sons. Predating King Lear, two of Tamburlaine's three sons profess loyalty to their father's militarism, and one son embraces a peaceful life. Calling this third son effeminate and a traitor, Tamburlaine kills him. Though it was obvious after Part I that this play could be about current events, the director includes some unnecessary anachronisms in Part II, perhaps to underscore the connections with the present time. This includes using photographs for paintings, using guns, and dressing one character in a modern suit. (By modern, here, though, the director seems to be using the 1900s as his stylistic model.) Also, perhaps to suggest some kind of universality, the director made the strange choice to cast the same actor as both Tamburlaine's love (and later, after her death, her statue) and -- in between her death and her reappearance as her statue -- as the adult son of Bajazeth, one of Tamburlaine's first victims. Among the many reasons to see this production are John Douglas Thompson's great performance, a chance to experience Marlowe's rarely seen Tamburlaine, and to realize that this exciting play, written 500 years or half a millennium ago, could have been written today about today's news. Theater For A New Audience (TFANA), which is now in its second season in its new home, the comfortable and elegant Polonsky Shakespeare Center in Brooklyn, is not difficult to reach from Manhattan, either by car over the Brooklyn Bridge, or by subway. Nearby, one also finds restaurants, parking, and BAM, the Brooklyn Academy of Music. Inside, TFANA houses a well-stocked classic book stall, drinks and refreshments. The six episode final season of Aaron Sorkin's THE NEWSROOM will begin on Sunday, November 9 on HBO at 9:00. The show explores the problems of a fictional newsroom reporting on actual recent events. Editorial decisions, journalistic responsibilities, legal, ethical, moral, business and personal issues all come into play. It's a great and fascinating show! Watching and discussing this show should be required coursework in any school of journalism. The final episode of the last season is available on the HBO site above, and it's a good way to get up to speed on the show and the current story lines.